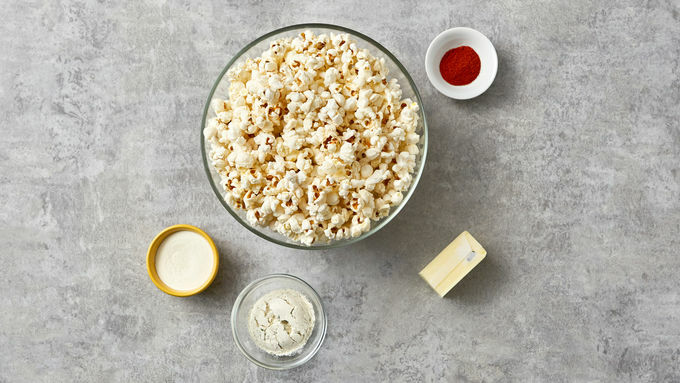 Drizzle butter over popcorn. 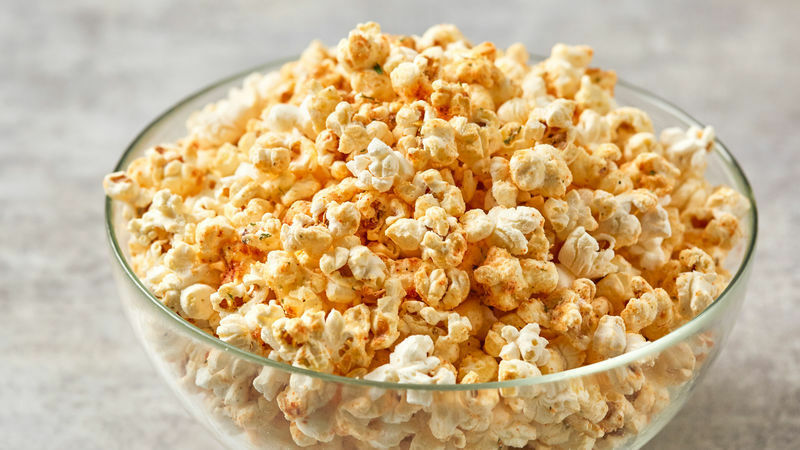 Sprinkle with ranch, cheddar powder, and paprika. Toss, serve, and enjoy!